As new applications for laboratory-based research and clinical diagnostics develop, new demands for more high-quality equipment comes with those advancements. A good example of a product of this constant evolution of laboratory equipment is the development of microtiter plates. What are microtiter plates and what role do they play in the laboratory? This article will shed light on some of their applications. Microtiter plates have been around for as early as the 1950s. The first versions were made of acrylic and featured six dozen wells neatly arranged in rows. Today, microtiter plates are available in various shapes, sizes, and materials to suit different kinds of laboratory procedures. Thanks to their simple but ingenious design, you can find microtiter plates in many laboratories in the world. Microtiter plates are most often used to hold multiple samples of small amounts of substances. While the plates are almost always used for holding liquid substances, they can also be used to hold smaller solid particles (usually in powder form) or wet tissues. For holding larger samples, test tubes can be inserted into the wells, with the microtiter plates acting as test tube racks. Because multiwell plates are extremely useful for holding liquid substances, they play a crucial role in researches related to multiple branches of chemistry and clinical diagnostics. For example, multiple blood samples can be stored in the plates so that different diagnostics tests can be performed without having to draw blood from a patient every single time. 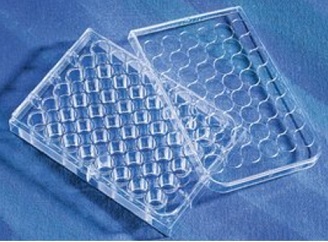 Aside from being versatile, microtiter plates are also widely considered as more cost-efficient alternatives to having so many glass test tubes. Furthermore, polymer plates, in particular, are less likely to get damaged during storage. This is especially valuable for health facilities or science centers that want to cut down on costs. While the basic design of microtiter plates doesn't differ much from when they were first introduced, how they are actually used in the laboratory has evolved greatly. As new standards in healthcare call for faster, more accurate results, multiwell plates have become part of the trend for automation in laboratory testing and clinical procedures. Automating certain laboratory procedures is mostly done to improve precision and speed up processes. Microtiter plates can be placed on staging platforms and positioned quickly using a series of high-precision linear stages and actuators. This can already be seen in many machines in which robotic pipettes are used to fill up microtiter plate wells in a matter of seconds. For even more stability and precision, microtiter plates can be manufactured in specific dimensions to make them compatible with as many staging units as possible. They can even have features such as notches and contoured bottoms to make them less likely to get thrown off while being automatically transported. With the help of thermal, optical, and other types of sensors, microtiter plates can also be used where samples have to be exposed to certain conditions or for specific durations. for example, once the sensors have detected that a threshold has been reached (such as temperature or amount of time), a motion system can then maneuver the microtiter plates away to prevent overexposure, which can ruin the results of the procedure. There's no denying that microtiter plates will continue to be an integral part of laboratory research and clinical diagnostics. The real question is how much more ways can the humble plates be used by researchers along with new lab technologies that will be developed in the years to come.